The National Ag Statistics Service (NASS) wrapped up its Census of Agriculture collection in 2018. The agency plans to release the new up-to-date Census data in 2019. NASS received 445,000 responses online, a 57 percent increase from the 283,000 responses in 2012. The overall national response rate from the more than three million known and potential farms and ranches across the United States was 71.8 percent. That number was down from the 74.5 percent in the 2012 Census of Agriculture. 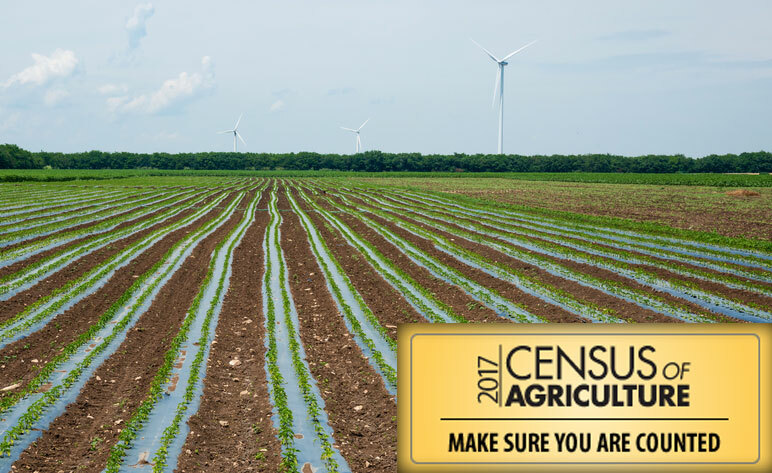 The new Census of Agriculture results will include first-time-information on military service, food marketing practices, and on-farm decision-making. These additions will help to better capture the roles and contributions of beginning farmers, women farmers, and others involved in running a farm enterprise.